In the first weekend of Major League Lacrosse action, the league’s stars came out. After a long offseason waiting for the first games, fans finally got a glimpse of their favorite players. This week, Ohio’s Peter Baum, Rochester’s Jordan Wolf and Denver’s Drew Snider all shined. Though the Machine lost its first game of the season, Baum ripped three goals and dished two assists. 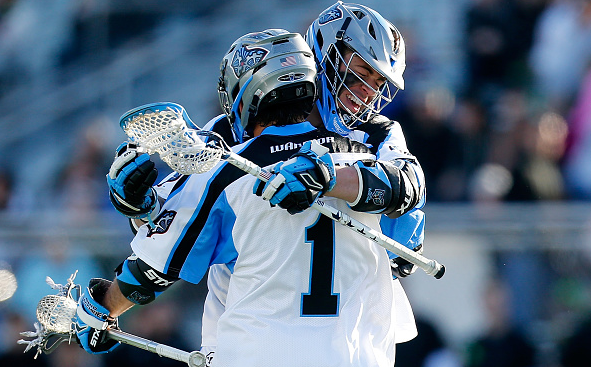 He’s picking up right where he left off after finishing third in MLL last season with 35 goals. Now, he is tied for the league lead with five points and his impressive outing in game one is cause for optimism out of Ohio. Baum’s five-point performance against one of the favorites to win the championship shows why he won the 2012 Tewaaraton Award and was the first overall pick in 2013. Wolf scored four goals against the Hounds and proved he could become one of the most lethal players in professional lacrosse. Wolf only played half the season last year after being out for the first half as he won helped Duke win its second national championship in as many years. Though Wolf is entering just his first full season of professional lacrosse, he may be one of the fastest players in MLL. Just by looking at Wolf’s 5-foot-9, 170 pound frame, people might not think he has potential to become one of the best, but game after game, Wolf seems to prove otherwise. With one game under his belt this season, Wolf will be mentioned amongst the league’s best in a few years, if not months. And oh by the way, Wolf scored the game-winning goal this weekend against Charlotte. Snider has scored 58 goals in the past two seasons and scored three in Denver’s loss to Boston. But what stood out even more was Snider’s all-around efficiency. Though the Outlaws lost, Snider scooped up four ground balls and also had two assists. His three goals came off 10 shots, seven of which were on cage. Snider’s performance the rest of the season could be key for the overall production of the Outlaws offense.